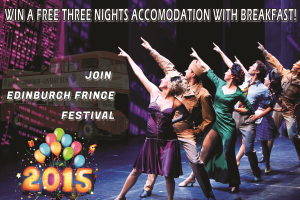 Enjoy free stay with breakfast and join the Edinburgh Fringe Festival August 2015. Winners announced by registered email and at Skanda Holidays Facebook page on 8 Aug 2015. Visit our Facebook Page tab and Enter Lucky Draw!